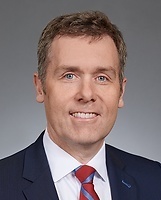 Nicholas M. O’Donnell is a partner in the Litigation Department of our Boston office. Nick’s practice focuses primarily on complex civil litigation. He represents manufacturers, individuals, investment advisers, banks, and others around the world in contract, securities, consumer protection, tort and domestic relations cases, with particular experience in the German-speaking world. He is also the editor of the Art Law Report, a blog that provides timely updates and commentary on legal issues in the museum and visual arts communities, one of his areas of expertise. Nick is a member of the Art Law Committee of the New York City Bar Association. Nicholas O'Donnell Discusses His New Book: "A Tragic Fate: Law and Ethics in the Battle Over Nazi-Looted Art"
Art Fairs: An Irresistible Force in the Art World? Visit our "Art Law Report blog" that provides timely updates and commentary on legal issues in the museum and visual arts communities.